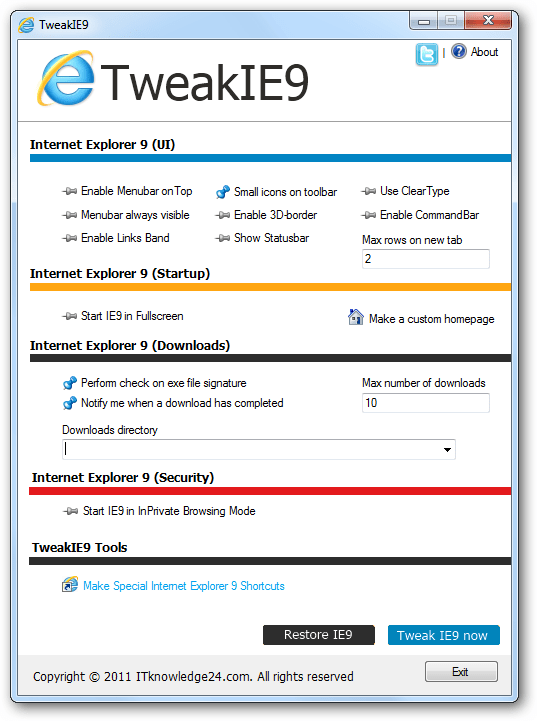 TweakIE9 is a free portable tool that allows you to tweak and customize Internet Explorer 9 (IE9). It also allows you to make a custom new tab page. Just run the tool, customize the settings and click Tweak IE9 Now. denotes that the option is enabled and denotes that the option is disabled. To restore the default settings click Restore IE9.